This is a contractual sales agreement for the ownership of a pet quality Irish Setter.The parties to this agreement are Amanda Evans (seller) and _____________ (purchase). 1. Ownership shall be transferred to the purchaser upon the receipt of the total selling price in cash or other agreed upon funds, which is due when the purchaser takes possession of the dog. If at such time the registration papers are not available, they will be mailed as soon as possible. If you decides to spay or neuter the puppy before 24 months of age, my warranty is null and void. 3. The purchaser agrees that the dog will be kept and maintained in the home of the purchaser with proper feeding,care,shelter and a fenced yard. 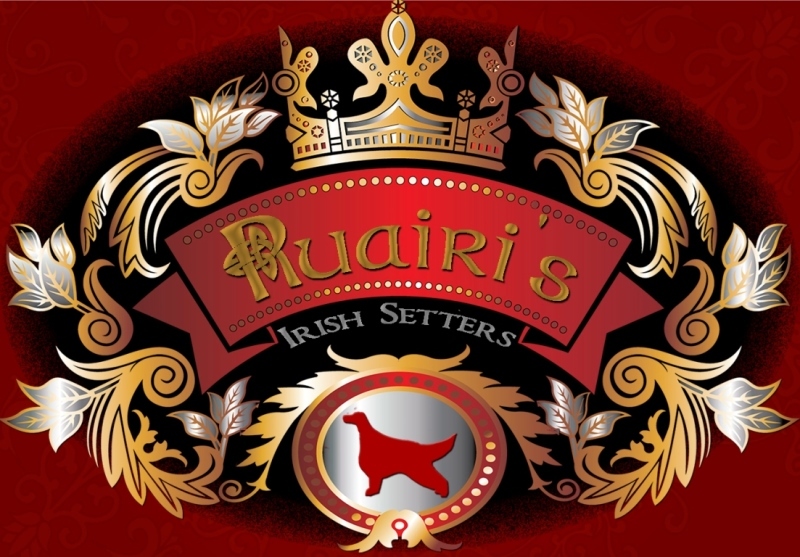 The purchaser further agrees to attend one series of obedience classes and to educate themselves in charactistics of the breed in order to fully understand the habits ,history, and advantages of Irish Setter ownership. 4. The purchaser agrees to adhere to the health guidelines supplied at the time of purchase. If these guidelines are not followed section #2 of this contract becomes null and void.This puppy will NOT BE USED FOR BREEDING purposes without the approval of seller and may be sold on a limited registration at the discretion of Amanda Evans. 5. The seller guarantee’s that the dog is in good shape. A health record will be supplied at the time the purchaser takes possession of the dog. Purchaser agrees have this dog examined by a licensed veterinarian within 48 hours of taking possession .If the puppy’s health is found to be unsatisfactory within 48 hours it may be returned for a full refund.If for any reason purchaser can no longer keep/care for the puppy/dog if shall be returned to Amanda Evans (at purchasers expense). 6. This agreement is made and signed by both parties to assure the well-being and protection of this animal and to help assure the continued soundness and quality of the Irish Setter breed. No part of this contract is transferable, any and all litigation that may take place will occur within the state seller resides.